A unique and unparalleled extension of US-based Cleveland Clinic’s model of care, providing direct access to the world’s best healthcare providers. Cleveland Clinic Abu Dhabi is a unique and unparalleled extension of US-based Cleveland Clinic’s model of care, specifically designed to address a range of complex and critical care requirements unique to the Abu Dhabi population. Cleveland Clinic Abu Dhabi has five Centers of Excellence in the following Institutes: Heart & Vascular, Neurological, Digestive Disease, Eye and Respiratory & Critical Care. Other Institutes include Surgical Subspecialties, Medical Subspecialties, Emergency Medicine, Anesthesiology, Pathology & Laboratory Medicine, Imaging, Quality & Patient Safety and Clinical & Nursing. In all, more than 30 medical and surgical specialties are represented at Cleveland Clinic Abu Dhabi. 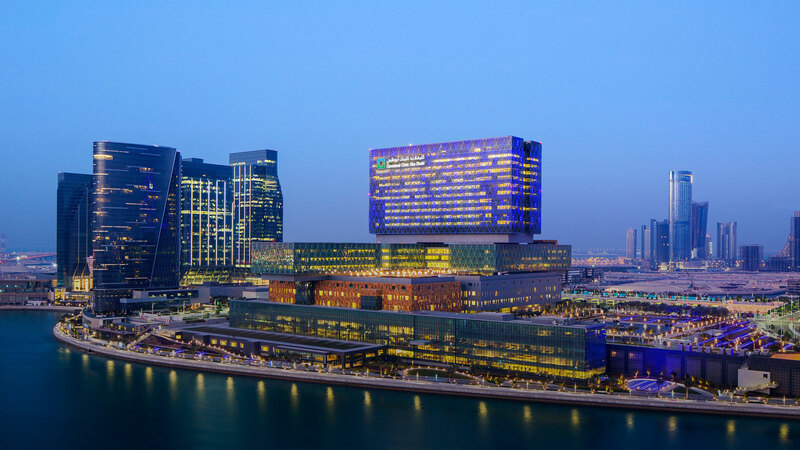 The facilities at Cleveland Clinic Abu Dhabi combine state-of-the-art amenities and world-class service standards. The hospital is a 364 (expandable to 490) bed facility, with five clinical floors, three diagnostic and treatment levels, and 13 floors of critical and acute inpatient units. It is a physician-led medical facility served by North American board certified (or equivalent) physicians. Bringing the experience of the US top-ranked heart center to the Middle East, including the latest advances in cardiovascular medicine. Comprehensive diagnosis and treatment of lung and breathing disorders, offering cutting-edge treatments for complex and chronic conditions. Clinical Pathology Laboratory and a reference Anatomic Pathology (AP) Laboratory support accurate and fast diagnosis for patients. A leader in treating the most common, and highly complex, neurological disorders, including stroke, multiple sclerosis and epilepsy. Bringing together essential medical specialties to create coordinated world-class care across a broad range of healthcare needs. A full scope of general and highly specialized imaging services, applying the latest technology and equipment to both diagnostics and treatment. Advanced levels of care for gastrointestinal disorders, based on standards from one of the top two US hospitals in the field. State-of-the-art surgical procedures encompassing urology, ear, nose and throat, plastic reconstructive surgery, and complex dental needs. Ensuring safety and comfort during and after surgery, and a multidisciplinary pain management program for chronic and critically ill patients. State-of-the-art digital imaging, laser and surgical procedures, from laser vision correction to advanced treatment for serious eye disorders. Immediate medical care for serious illness or injuries, equipped with dedicated imaging and laboratory services, and critical care transport. Promoting effective, efficient and safe healthcare through strategic systems improvement, clinical culture, and innovation.